These two events are available to the public. Members get a discount. ONLY 28 TICKETS AVAILABLE, SO ORDER YOUR'S TODAY! Everything for the Fall Tour will be posted after the Spring Tour. 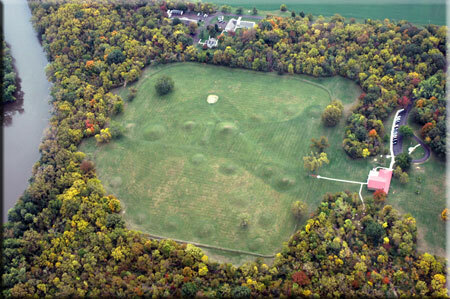 The 1st stop on the tour will be to visit the circular earthwork enclosure located south of Fort Hill. The 2nd stop on the tour will be to visit the Seip Earthworks complex located east of Bainbridge. We will eat lunch at this stop. The 3rd stop on the tour will be to visit the Hopewell Earthworks complex. The 4th stop on the tour will be to visit the Mound City Earthworks complex and the Hopewell Culture National Historic Park Museum. Little Caesar's Pizza will be provided while here. The 5rd stop on the tour will be to visit the Hopeton Earthworks complex. 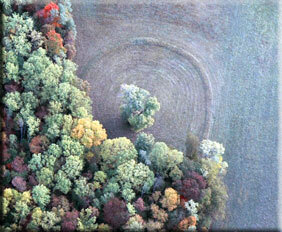 The Tour will also point out these mounds and earthworks along the tour: the Cynthiana Mound, the Trefoil Works and T.C. Campbell Mound, the D.S. McAlla Works, the Dill Archaeological District, the Baum Earthworks, Bourneville Circle(s), Spruce Hill, the Anderson Earthworks and more!